When it comes to purchasing a greenhouse, doing some early research will make the process of planning and buying a greenhouse seem so much simpler. We hope this article will give you some ideas to ponder and help save you some money in the process. Ah, a greenhouse. Who wouldn't love to have a greenhouse in their backyard. A place to start some seeds in the cold of winter. A place to grow tropical plants when you live far north of their native habitat. A greenhouse can be a special place where you can enjoy some one-on-one time with nature when everything else in the world is running at such an awful pace. Greenhouses come in many shapes and sizes and different ones serve different purposes. If you are the DIY type, you can use readily available plans to build a homemade greenhouse. 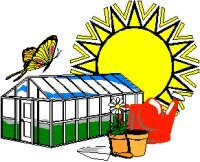 What you will need to ask yourself before purchasing a greenhouse is, "What purpose will my greenhouse serve?" Will you need a greenhouse just for starting seeds in late winter to get a jump start on your Spring planting? How many seeds will you be planting? Will a small portable greenhouse serve your purpose well? Or will you need a larger greenhouse, one where you can overwinter your tropical plants and keep them warm throughout the freezing temperatures of winter. Are you wanting to go all out and buy a Gutter Connect greenhouse like the big boys use? Will you ever really use that greenhouse to it's fullest extent? It's always best to thoroughly go through all of these questions and more to decide which size greenhouse will work best for you. Where will I locate my greenhouse? You don't really have much leeway in your decision as to where to locate your greenhouse if you are going to be giving it the optimal location, of which is the south to south-east side of any other buildings at your greenhouse site location. 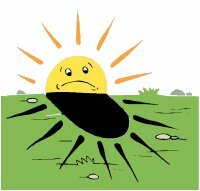 Your biggest concern in locating your greenhouse should be making sure that your greenhouse receives optimum winter sunlight. This can be best achieved by scouting out the location for your greenhouse well in advance. If that is not possible, and you are ready to install your greenhouse pronto, then a trip to the local cooperative extension office may be in order. They should have fact sheets that will help you to make an educated guess in positioning your greenhouse. Keep in mind that your future greenhouse heating costs, should you desire to heat your greenhouse, may be influenced by your location of the greenhouse. You've made some important decisions, thought long and hard about buying a greenhouse and have now come to the conclusion that you are ready to purchase a greenhouse. Where do you start? You're not going to like the answer. More research! 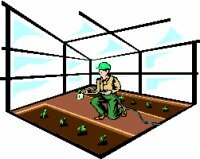 There are a lot of greenhouse companies selling their wares and some are high quality and you will pay a premium price for that quality. There are bargains to be had on greenhouses, even quality ones but it will take research on your part to find those bargains. Sales come up every so often and this can save you upwards of several hundred dollars if you keep yourself aware. Make a point of checking weekly with greenhouse companies for upcoming sales. It's always a shame when you purchase something only to find it on sale the next day. Call the company and ask them if they will be having any sales in the near future. Be proactive when buying your greenhouse. It's your money, use it wisely.